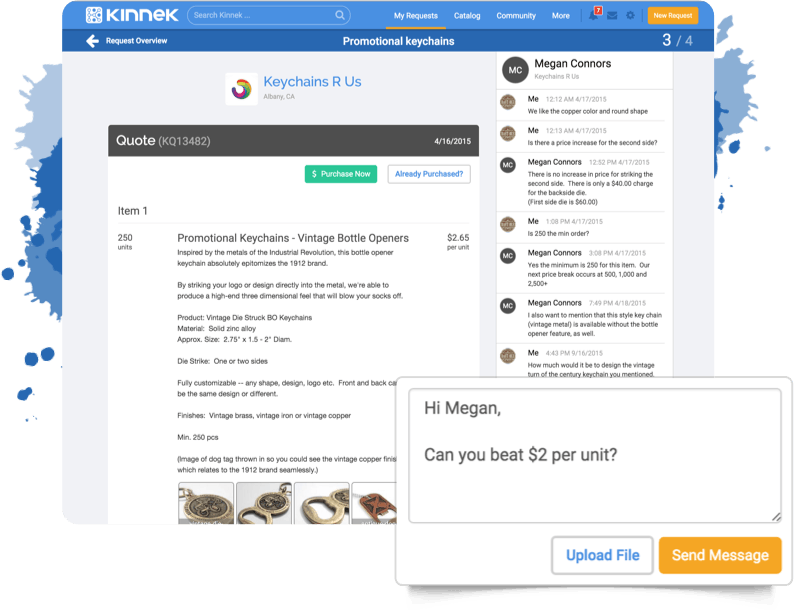 Today, we're proud to introduce a new way to manage your purchases with My Requests, which is part of the powerful toolkit for business buyers on Kinnek. As more small businesses and suppliers use our marketplace, we’re improving the purchasing experience overall to meet their needs. To do that, we speak to thousands of business customers to understand what works and what could be improved. First off, we've designed My Requests to provide a new, more powerful way to manage business purchasing online. 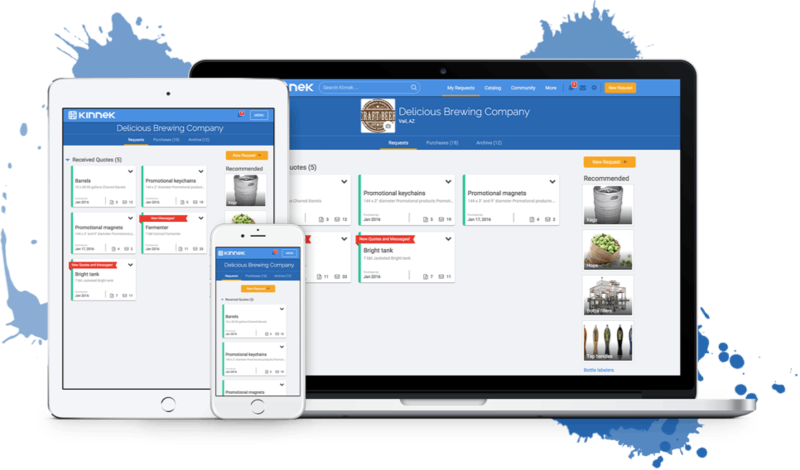 More businesses are relying on Kinnek for a growing share of their purchases, with an increasing volume of orders coming from mobile devices. So, we decided to build an easy-to-use purchasing hub that highlights the key things you need to know about your purchases on Kinnek - and make them available on any device. Do a quick status-check of your purchasing requests, review quotes, message your suppliers and more! Connect with Kinnek wherever, whenever. 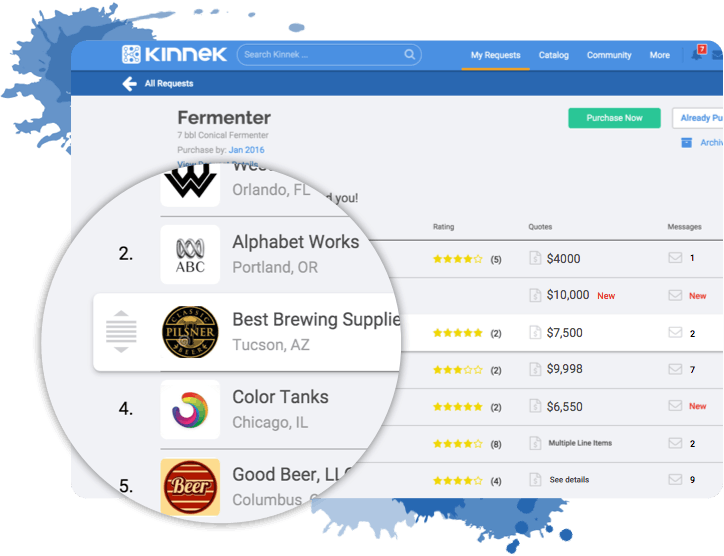 Kinnek provides better price transparency and supplier matches than ever before! On average, you’ll receive at least four quotes for every request you submit. To help you prioritize, compare and review those quotes, we've designed a beautiful new layout, featuring drag-and-drop capabilities for ranking all supplier quotes you receive. The best part? You can now review quotes simply, and easily! Quotes are one thing, but most purchases require a little back & forth messaging with the supplier to do things like clarify product specs and negotiate prices. Keep track of all those conversations by managing them alongside your quotes. It’s the easiest way to keep track of all supplier negotiations, so you'll never have to hunt through those long e-mail chains or PDFs for previous purchase records ever again! My Requests is making the Kinnek marketplace better than ever - but don't worry, we’re just getting started! We’re already hard at work building some of your top-requested add-ons. Want to share those product purchasing conversations with a few co-workers, or even review quotes side-by-side? Well, guess what? Kinnek is about to make all of your wishes come true. As a small company, we’ve seen how painful the purchasing process can be for other small business owners. That’s why we built a marketplace to solve those problems for good. Sign up for a new way to purchase for your small business today. Suggestions? Feedback? Bring it on! Mail our team any time: questions@kinnek.com.